This craft beer fair in Los Gigantes proves it's not only the Brits who love 'real ale'! 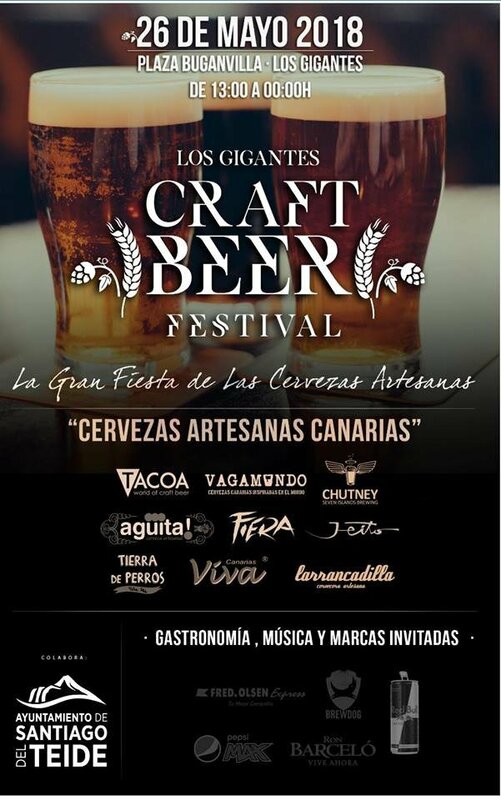 This Gran Fiesta de las Cervezas Artesanas (Great Festival of Craft Beers) in Los Gigantes is sure to draw in pint connoseuirs and those just looking for a fun event. So if you're a guzzling gatronome, or would like to expand your knowledge of beers beyond Dorada and Coronita, head to the Plaza Bouganvilla on Saturday 26th May. There'll also be typical Canarian food and live music.